Multiple people dead in suspected terror shooting in Munich. 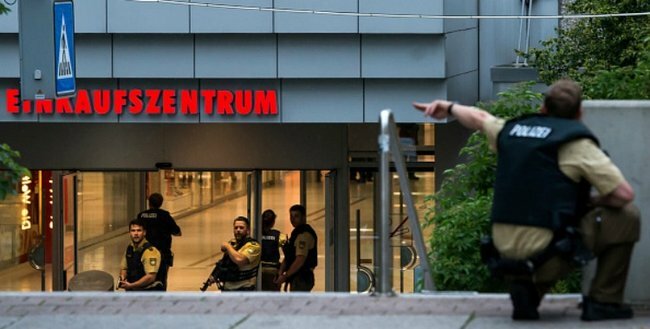 At least 10 people are dead and several others injured in a shooting in Munich, Germany. Munich is in lockdown amid police warnings that attackers may be on the loose in the city, The Guardian reports. “We suspect terrorism,” a Munich police spokesman said. At around 4pm local time, a man opened fire at a branch of McDonald’s outside the Olympia shopping centre, police said. A video posted to social media shows a man dressed in black walking away from the McDonald’s while apparently firing repeatedly on civilians as they fled. “We believe this is a shooting rampage,” a police spokesperson said. “The attacker, or several attackers, are apparently still at large,” another police spokesperson said. The Olympia shopping centre was built on the site of the 1972 Olympics, which were overshadowed by a terrorist attack that killed 12 people. A teenager who suffered third-degree burns while attending a house party is suing the host’s mother for $11.8 million, Yahoo! News reports. Paris Turkington was a guest at a house party in Toowoomba, Queensland in August 2013 when an uninvited boy poured spirits on a backyard fire. In the explosion, Ms Turkington -- then 16 -- suffered burns to 42% of her body, including her face. She now needs to wear a whole-body pressure suit up to 23 hours a day, The Courier Mail reports. The mother of the host allegedly said she had a male friend coming to help supervise the crowd and she did not need any further help, The Courier-Mail reported. "In truth, and in fact, at no time during the duration of the gathering was any adult present to act in a supervisory capacity, other than the defendant herself," the lawsuit claims. Donald Trump has formally accepted the Republican nomination in the US presidential race. The billionaire real estate mogul gave an acceptance speech on Thursday night in Ohio, painting a troubling picture of the US in an unusually long 76-minute address. Trump spent much of his speech describing epidemics of terrorism, violence and illegal immigration and positioned himself as “the law and order candidate”. The tone of his speech echoed the gloomy themes of Richard Nixon’s 1968 campaign, The Washington Post reports. Trump’s subject matter contrasted with the upbeat speech by his daughter Ivanka Trump, who positioned her father as a women&apos;s advocate and generous business executive. A call from a six-year-old boy to emergency services resulted in two police officers helping a woman deliver her baby in Craigieburn, Victoria overnight. Police officers and paramedics were sent to the family home about 2.45am, Victoria Police said. Police arrived first and realised the boy’s mother was close to giving birth. The two female constables leaped into action, contacting an on-call medical service to talk them through the birth process. Once the child was successfully brought into the world, the mother and child were then conveyed to hospital by ambulance. Alcohol causes seven forms of cancer, putting even moderate drinkers at risk, according to new study. Alcohol has been implicated in the development of breast, colon, liver and other types of cancer. The study, published in science journal Addiction, finds that there is more than simply a link between alcohol and cancer: There is now credible evidence to say conclusively that drinking is a direct cause of the disease, according to Jennie Connor of Otago University. According to The Guardian, the study has sparked renewed calls for regular drinkers to be encouraged to take alcohol-free days. Porsche is reassessing its endorsement deal with Sonia Kruger, 50, following her controversial comments on Muslim immigration. Porsche Australia spokesman Paul Ellis told Yahoo! News her “unfortunate comments” on Nine’s Today show about Muslims were “not in line with Porsche’s values”. “Let me be clear, though, we don’t support her comments,” Ellis said. Target and Swisse also have endorsement deals with Kruger and have joined Porsche in reviewing their sponsorships with the TV personality, Yahoo! News reports. 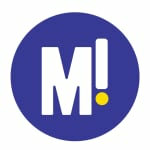 Channel Nine says Kruger will be back for her regular Mixed Grill segment on the Today show on Monday, news.com.au reports. Daniel Morcombe&apos;s twin brother Bradley has become a father, bringing joy to the Morecombe family 12 years after Daniel&apos;s 2003 abduction and murder. Bradley and Daniel&apos;s mother Denise Morcombe said and her husband Bruce were delighted to welcome their grandchild, according to Woman&apos;s Weekly. Daniel&apos;s killer Brett Peter Cowan was sentenced to life in prison over his death. A man&apos;s body lay undiscovered in the toilet of a fast food restaurant for three days, ABC News reports. Police were called to Hungry Jack&apos;s in the Perth suburb of Westminster on July 18 after the body was found. It is believed the man died after overdosing. A report is being prepared for the West Australian coroner, but ABC News reports the death is not being treated as suspicious. Good Samaritan hit with bill of almost $1,000. A Perth teenager has started a GoFundMe campaign to cover the $932 ambulance services bill he incurred while rescuing the woman. Brayden Mitchell, 19, saved the woman from a floodway as she was trying to rescue her dog. "She was struggling for breath as she was cold and the water was choppy and she kept going under with each wave. When I got to her she held on to my wrist and I swam in with her," he said, describing the incident on the GoFundMe page. "Some elderly ladies had phoned the police... the police had phoned the ambulance and they were on the way. We were both taken to Busselton hospital and treated for hypothermia." He is now faced with a bill due to arrive of $932 for the ambulance. Fortunately Mitchell, 19, has already raised more than $1,700 with his online campaign -- almost double the originally sought amount. School students are among 53 people who have been charged with new sexting offences in Victoria, The Age reports. There have been 174 sexting offences recorded since the laws came into effect, Fairfax reports. Around 29 per cent of alleged offenders were minors aged between 10 and 17, figures from the Crime Statistics Agency indicate. A shocking video showing a New South Wales greyhound trainer allegedly using a cattle prod on a dog has been referred to police, ABC News reports. The video, filmed at Newcastle track "The Gardens" in 2012 and obtained by the ABC, appears to show a greyhound trainer using an electric cattle prod on a greyhound in the starting box. The handheld prod is believed to be a Parmak "Stock Master", which can deliver a 6,000-volt shock, ABC News reports. The video comes as greyhound industry attempts to fight industry ban in NSW. Greyhound Racing NSW&apos;s Paul Newsom said in a statement that an independent investigation had identified the trainer seen in the video.